If you have a windlass on your boat, why don’t you have a chain counter? 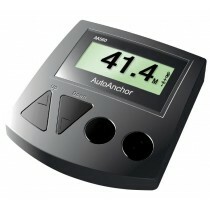 It makes anchoring much easier, quicker and safer. 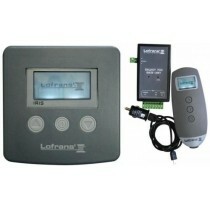 These small, electronic instruments give you such confidence in your anchoring. They monitor your anchoring operation from the helm, displaying the length of rode deployed, and warning you that the anchor is approaching the boat, some models even have a one-touch automatic function to deploy and retrieve a preset length of anchor rode. Anchoring can be one of the most stressful aspects of boating and, if you plan to get any sleep when anchoring for the night, it is important to know that you have the right length of anchor rode deployed. 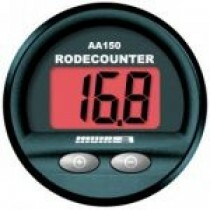 With an AutoAnchor chain counter - you have this information. With some models you can even preset the length of anchor rode for deployment and the AutoAnchor will stop the windlass when that point is reached. On retrieval, the AutoAnchor has a docking alarm to warn that the anchor is approaching the boat and can stop the windlass when the anchor is a set distance away from the boat. Currently, there is a huge focus on the entertainment and electronic systems in boats and yet it is the products that offer confidence, peace of mind and safety that really ensure the best boating experience. 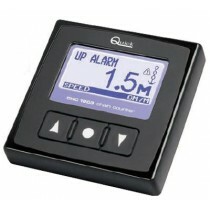 Skippers need to be relaxed and comfortable when on their boats. They need the knowledge that what they are doing is right. One bad anchoring experience can put them off boating forever. One last point … often it is the women who make the AutoAnchor buying decision. Usually because they have been the person shouted at from the helm while operating the windlass deck switches. Not to mention anchoring at night when they cannot even see the chain markers. We often say that AutoAnchors save relationships.